A Federal High Court sitting in Awka, Anambra State, has ordered the State Security Service to apologize to a former Minister of the Federal Capital Territory, Nasir El-Rufai, and to pay him N2 million in damages for unlawful detention. 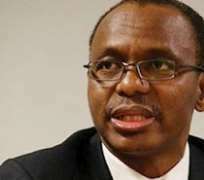 A statement issued by Muyiwa Adekeye, a media aide to the former FCT Minister saidâ€Ž El- Rufai was on November 15 and 16 2013, arrested and detained at the Finotel in Awka during the last Anambra governorship elections. Dissatisfied with his treatment, and believing that the conduct of the SSS had no basis in law, Mr. El-Rufai approached the court for redress. The case which with Suit No: FHC/AWK/CS/310/13, had the SSS and the Attorney-General of the Federation as respondents. Delivering judgment in Awka on Monday, Justice Ibrahim Bature Gafai held that the SSS has no statutory powers under the Constitution of the Federal Republic of Nigeria 1999 or under any Nigerian law to detain El-Rufai without showing cause to a court of competent jurisdiction. The judge consequently ordered the SSS to publish an apology in two national dailies for the unlawful and unconstitutional violation of his liberty.